They’re greasy, revolting, and alarmingly unhealthy, not to mention unpleasant to look at. But America just can’t get enough of the cheap, addictive tacos being peddled by Jack In The Box. Writer Russell Adams attempts to explain the mysterious appeal of these deep-fried delicacies in a potentially stomach-churning piece for The Wall Street Journal. 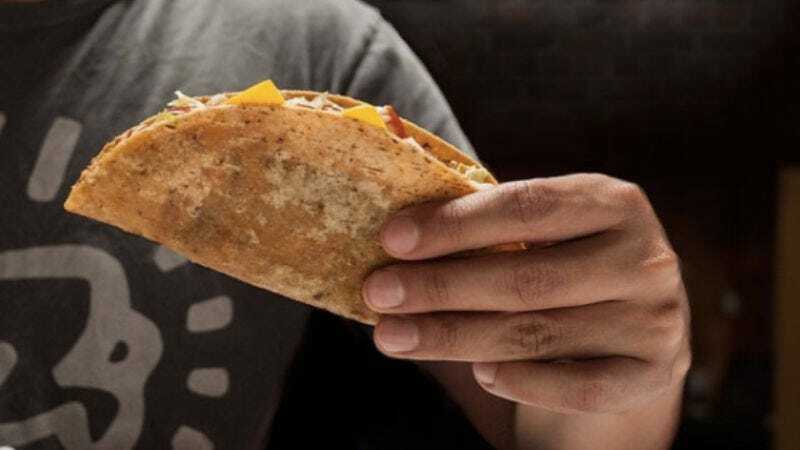 Ostensibly a burger joint, Jack In The Box has had tacos on its menu since the 1950s, and now the California-based fast food chain sells 554 million of these things every year. Those are Big Mac-level numbers. Nevertheless, despite empirical evidence that Jack In The Box tacos are an abomination in the eyes of God, they’ve managed to attract a large and loyal cult following, whose ranks include such celebrities as Selena Gomez, Chelsea Handler, and Chrissy Teigen, all of whom declined to comment. And, naturally, the tacos’ success has inspired copycats and wannabes. While genuine Jack In The Box tacos are still two for $0.99, a West Hollywood restaurant called The Nice Guy offers its own interpretation at six bucks a pop. Jack In The Box doesn’t seem worried. “We are always imitated but never duplicated,” crows a spokesperson for the chain.